A nice sunset with golden light on the farmland and clouds. 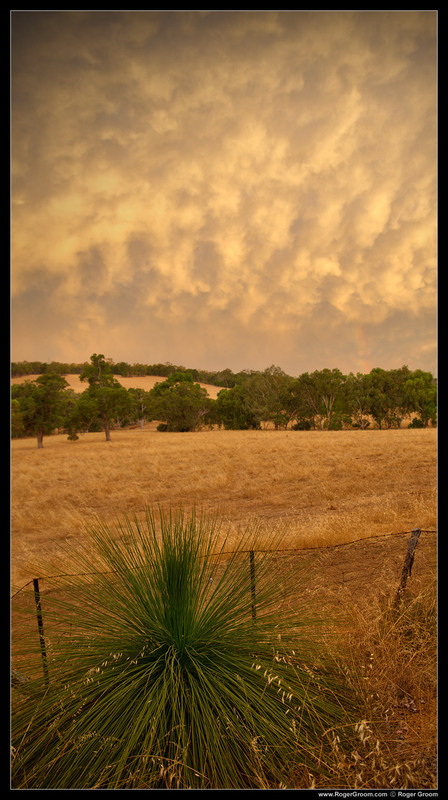 A green grass tree in the foreground provides nice contrast to the scene beyond. A rainbow is visible in the far distance on the right horizon – a pot of gold at it’s base perhaps? Taken in Gidgegannup, Western Australia.